The plate boundary off the coast of Japan. 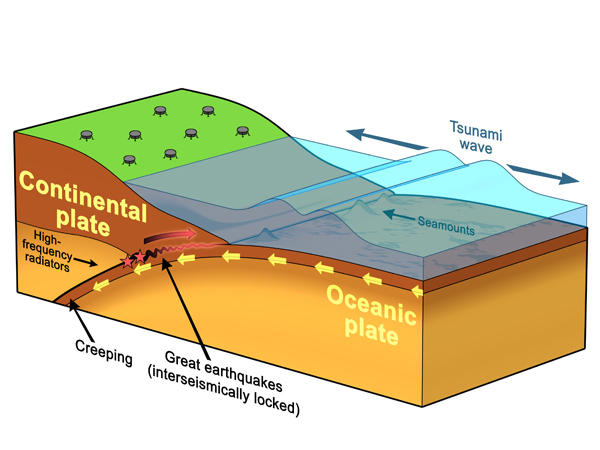 The edge of the continental plate slipped back toward the ocean during the earthquake, causing a tsunami. GPS stations (small gray circles) measured the land motion. High-frequency waves radiated from regions at the deep end of the slip zone, close to the shore.